The 24th Year from Kyle Merber on Vimeo. I believe that this is my year. Then again, I think every year is my year. There is no other way to enter a season than to trust that something special is imminent. As they stand today, I hate my personal bests. What once brought me the ultimate sense of satisfaction withers, and quickly fades into a yearning for more. It only takes moments before I start calculating and figuring what I could have done differently. And this year [once again] is going to be my year. I will keep trying again, perhaps foolishly, to make it happen. But I will stop trying long before I ever enter a new season without believing that a breakthrough is on the horizon. There is a quality to be admired in the concept of the ‘starving artist’ that our culture has come to appreciate. The underdog story captivates audiences with his or her unrelenting denial to give in and to maintain the stubbornness to persevere despite all facts speaking otherwise. Maybe most commonly mentioned, as a model for those in similar pursuit, is Vincent van Gogh, who only sold one of his roughly 200 works in his own lifetime. It was only posthumously that his work would come to be appreciated [after taking his own life at 37, and dying penniless]. Van Gogh may make a great role model in some respects, but one could probably find a less-tragic hero to mimic. For me, I have spent the last few years slowly developing an obsession for the expatriate writers in Paris during the 1920’s and 30’s. Think ‘Midnight in Paris.’ I revel in the stories of Hemmingway and Joyce sitting in cafes working by day, and picking bar fights at night. The tales of Gertrude Stein taking in artists and authors alike for guidance and support as they strived for their masterpiece enamors me. And then there was F Scott Fitzgerald, whose novel, ‘The Great Gatsby’ was initially a flop until the many unsold copies became a handout for soldiers during World War II. These were men and women who took a leap by crossing the ocean, with little money and previous success, to collaborate, and to create modern literature as we now recognize it. They formed a literary circle akin to the late 19th century impressionists who were routinely rejected from the Salon de Paris. Both groups opted to rise above the denials and persist by creating their own style and their own galleries, by which they could display their own work. I might be stretching on this analogy, but when I look at my teammates, and around the country at the various groups and individuals who are all scraping away to drop seconds, I see some similarities. It’s not the normal thing to do. Most people graduate college, and move on. Jobs are had, and life continues on. Your times remain eternally that, your times. But then I see the crazy day to day. The guys who find a way to make it work because they have decided that it’s worth it. It’s not a sacrifice, because everything that has been given up is done so gladly. There aren’t questions, and there aren’t doubts. There is just what comes next. Everyone loves the rag to riches story–once completed. But there isn’t a lot of support along the way to help make it happen. Just the individual who is so foolishly passionate, they may not recognize how farfetched their goals may be [to others]. So when I read of Henry Miller stumbling around Paris in ‘Tropic of Cancer,’ begging for a meal, and scrounging up places to sleep, I become enthralled. Maybe it’s because I know in the end he succeeds. He does so by writing about his journey, and so retroactively I feel a part of it. But I wonder if I had been there in Paris with him, would I have lent a hand? Or would I have scoffed at his dream that would be realized only a few years later? I certainly hope not. And so today, I try and take a step back before forming opinions on what others are pursuing, perhaps recklessly, against the odds. It’s not required for one to be homeless or in need of a meal to be considered an underdog chasing the impossible. But you do need to be hungry. Though I know some of my own goals this year may solicit some level of doubt from even the most objective onlooker, I don’t think it’s crazy. I’d say it’s crazier to go all-in on a dream and not have full belief that it’s going to happen. You cannot make the leaps physically, if you cannot at first do so mentally. To leave that part out is senseless. I know I am not the ‘starving artist,’ but we have the same mindset. I will fight and claw everyday to make the time drop, and since this is my year—I will keep going. It was a fantastic fall of training for me and my teammates at NJ*NY TC. Gags challenged us in a lot of ways that we have never been before, with leaps in mileage and harder workouts. In college I ran 80-85 miles per week during the fall, and last year after an up and down fall I played it conservatively in the 70-75 mile range for the remainder of the year since we function on a 3 workout a week schedule (arguably 4). 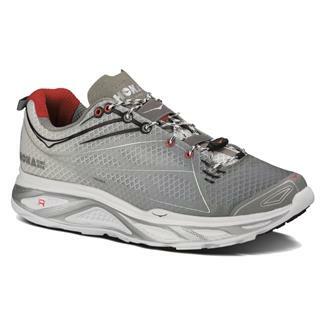 But now, large in part due to my sponsor, Hoka One One, I have been healthy and pushing the boundaries of what my body can handle. I have been consistently running 85-90 mile weeks (mostly singles) with longer long runs, farther and faster tempos, and an increased volume during intervals. Next week I am heading out to Flagstaff with a small crew of teammates to test the body at altitude. I think the newly added variable will be a good test, and a potentially super beneficial stimulus. Though I am most excited to spend four weeks in a mini-training camp, away from the distractions and temptations of home. I’m looking forward to growing out the beard (Check out my nutrition sponsor, http://www.beardedbros.com), reading a bunch, playing board games and sleeping. The sedentary afternoons blend well with the active mornings. All in all, things are going well, but the foundation is still being laid. 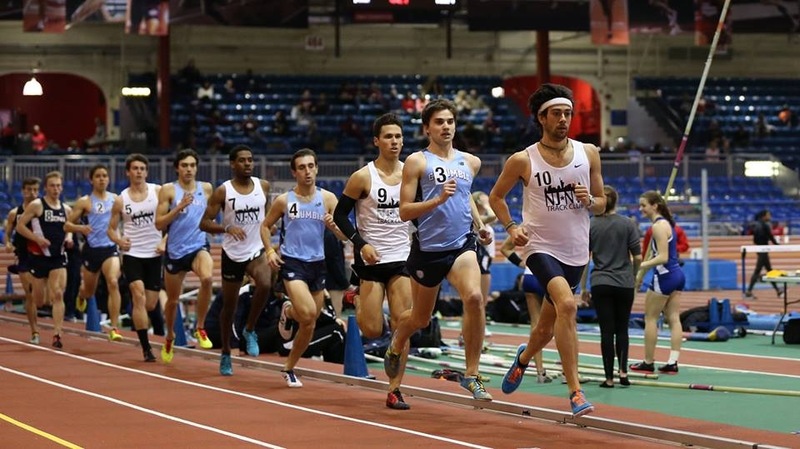 I am opening up my season at the Armory January 31st for a DMR, where I will be running the 1600 leg for NJ*NY. And from there, we’ll see! The end of the season is always an enjoyable time for a runner as it is an opportunity to become ‘just’ a person for a short period of time. Tomorrow [Monday] I am flying to Hawaii/New Zealand for a 2+ week long vacation with a buddy, to visit our college roommate who now lives and works down under. But in addition to being able to do some stuff that I don’t normally get the chance to, I can now take a moment to peer back into the season that was and find some lessons that can be used moving forward into the next year of training and racing. I wrote an email to Coach Gags today with some of those ideas, many of which we have previously talked about. I figure the best way to recap this past season is to do so from the perspective of looking ahead. It was a great year and I owe all the thanks in the world to Gags, the entire NJ*NY TC and my sponsor, Hoka One One. Couldn’t be more excited to see what happens next! “Gags—I wanted to put down to paper some of the thoughts I have had about this year now that the season is over and I had some time to analyze what worked really well, and where I can improve. First off, I am obviously incredibly excited with this season and year in total. I have full confidence in you, the team and the system. Not only was it a great year of racing, but also it was extremely enjoyable work to do day in and day out. I find that I am finishing up my season in the ideal state of mind; happy but not content. This is the first season that I have finished on healthy legs since my sophomore year of college [I stepped on glass a month later though]. In reflection, I think I did a lot of things really well that were instrumental in having a successful year. The thing that stands out is that I got my consistency back. Minus the hiccup in November, and the 6 weeks injured after indoors, I only had a few occasions of missing days. My running log is covered in 70-75 mile weeks, and that showed itself in consistent racing. I was also able to keep my mileage up and training going through race weeks. Making the switch from pre-meet workouts to keeping the tempo on Wednesdays was helpful for maintaining strength until September. I responded well and felt fresh still despite not having any major tapers. I think the single thing I am most proud of this year has been my management of pre-race anxiety. I was able to stay calm in high-pressure situations, which wasn’t always a strength of mine, but it’s made racing significantly less stressful and overall more enjoyable. Knowing what the next couple years have to come, I find this to be of upmost importance. On to the things I need to work on! As we discussed, I think a small bump in mileage will go a long way. But in addition to that, I need to be better about my long run being legitimately long. I had relatively few runs over 15 miles this spring, and I should probably be aiming to hit 17-18 more often. I also need to get better about doing strides more regularly after easy runs, and staying on top of the drills and dynamic stretching immediately before and after. I also missed a lot of the hill work this year, so next year I need to be less of a coward because I think that’ll be great for speed development and gaining some power. I definitely need to be better about weightlifting and establishing a better routine in the gym. I’ll open a discussion with Eric/Rich about this. I slacked big time once the racing really started and my body weight dropped pretty significantly because of it. Eating and sleep were good throughout the year, but there is always room to do a little bit better. I found the workouts to be perfect throughout the year, and I had multiple moments where I was shocked at how fast I was able to run. Although, I am hoping to improve my tempo pace a bit next year, as I sort of stagnated at 5:00/mile and I am confident there is a lot of room to grow there. Figure if you want me to run the occasional 3k/5k next year that I should get that down. Finally, I am hoping to get away a few times during the winter next year just for a week or two here or there to get out of the cold and break things up. After my last indoor race, I’d love to go somewhere for a few weeks and get a small block of base in. Those are my thoughts! I am interested to hear yours. Very excited for this vacation, and I’ll do a little running when I see something pretty that looks like it needs to be run on. Should have some Internet so I’ll let you know how things are going. See you in a couple weeks and thanks for a great year! My New Sponsor: Hoka One One!!!! For our 6th grade yearbook, they asked each of us students what we wanted to be when we grew up. And amongst the many friends and classmates saying that they wanted to be lawyers, doctors, baseball players and astronauts there was me, but no one else shared my dream job; to be a professional runner. Now, thanks to the support of Hoka One One, those wishes have come true and I can proudly represent a company that I truly believe in. Since the inception of the brand just a few years ago, it has revolutionized the industry and challenged the status quo of what a running shoe can provide in terms of cushion, comfort and a great ride. When Hoka One One first debuted their shoes, this ‘maximalist’ concept created a lot of doubters and at first, most runners were skeptical. I know I could be included in that category of people who find change scary. But I finally tried them, and I was shocked, ‘How could a shoe with so much cushioning be so light?’ And as more and more people have taken the small risk of slipping them onto their feet, the scale has tipped and now those who were previously questioning the shoes are now the biggest advocates. This season I gambled on myself because I thought I was ready to run fast. I purchased myself a ticket to head to Europe to try and come away with a couple new personal bests. When I returned from the trip, which included a couple new PR’s in the mile and some other strong races and wins, I began talking with Hoka One One about the possibility of beginning a relationship together. 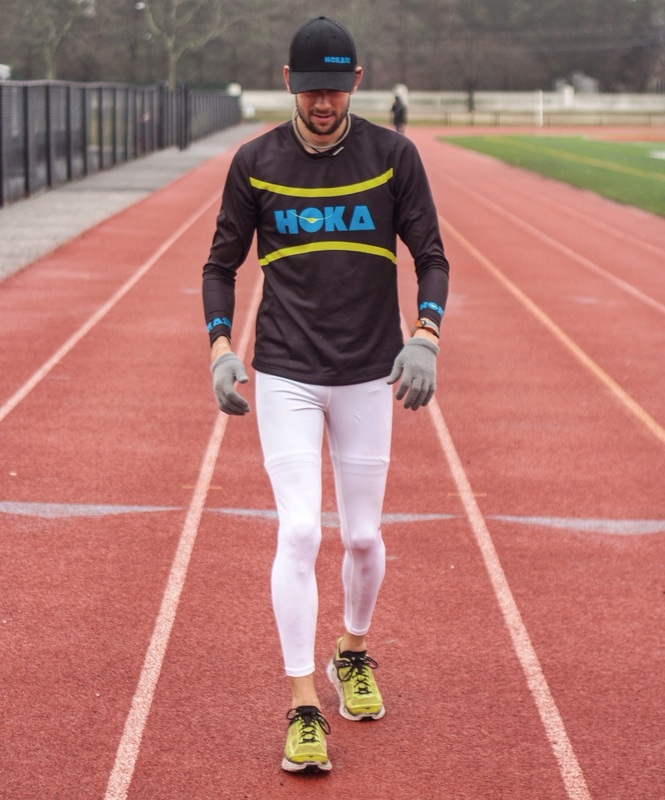 What intrigued me most about Hoka One One was the opportunity to work with a young and quickly growing company that was very much by runners and for runners. There was a passion and excitement in our conversations about what Hoka One One was going to do next, and how they were going to continue to build and raise the entire sport of track and field. It began with a sponsorship of my NJ*NY teammate Mike Rutt, and led to the addition of other great athletes who were also now racing on the track in a Hoka uniform. Hoka was also the one company that stood up and was willing to lend their support to the USA’s Olympic 1500 silver medalist, Leo Manzano. And they were eager to do the same for me. If you are a fan of track and field that hopes to see the sport grow, then there are a lot of reasons to be encouraged by a shoe company that sees the value of investing in sponsorships of athletes and in meets. Competition is good for the consumer. The more shoe companies vying for your affection as a runner, the better. And if you can appreciate a company like Hoka for making a splash into the track world, then the best way to show your support is to try the product. Because if Hoka’s investment in guys like Mike, Leo, myself and others proves to be a good one, then there will be a lot more to come for the sport as a whole. Before I was willing to take our conversations any further, I communicated to Hoka that I needed to try the shoes because I wasn’t willing to promote a shoe that I didn’t love. So I was handed a pair of the new Clifton. I took a few quick steps in them and immediately said, ‘I’m sold!’ They only weigh 7.7oz and have a 4mm drop, and there were just recently announced as the winner of the Runner’s World Editors Choice Award. 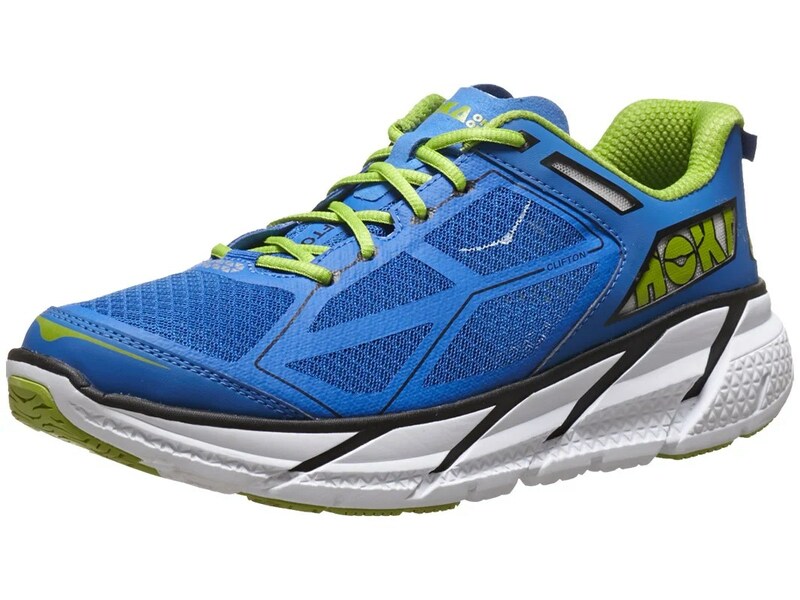 The other shoe that I would have to recommend for first time Hoka wearers is the Huaka, which weigh in at 8.9 oz and has a 2mm drop. I’ve loved this shoe for its smooth and efficient ride that is perfect for the days when I want to get rolling at a steady pace. 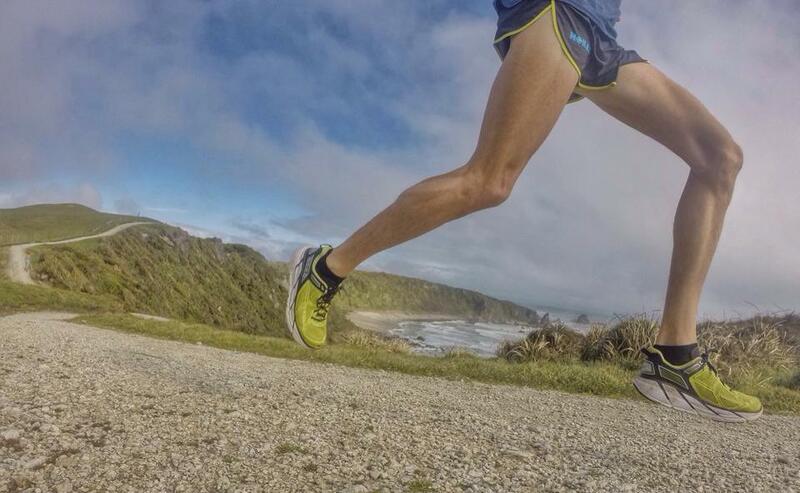 The current trend of shoe companies and training groups pairing up is good in many ways. It creates a brand identity for the companies, and gives good support to the athletes. However, that situation is not perfect for every individual and can make it very difficult to gain sponsorship for those who seek out other options. I am lucky enough to be a part of a very special group at the New Jersey*New York TC, where we have an incredible leader in Coach Gagliano who is very welcoming to athletes regardless of their sponsorship affiliation. To have Hoka’s support in my decision to remain in an environment that I am most comfortable and happiest is something I am extremely thankful for. I am very proud to be representing Hoka One One and to have such an amazing shoe company to support me in my athletic endeavors as I continue to pursue my goals. And if you are at all excited, or curious by these incredibly comfortable and efficient shoes, then I hope you’ll give them a try for your next run. Author kylemerberPosted on August 10, 2014 August 10, 2014 Categories Uncategorized3 Comments on My New Sponsor: Hoka One One!!! !